At Etaples fearing further outbreaks the Base Commandant requests reinforcements as the demonstrations gain momentum. After a five hour battle the S S British Transport (Captain A T Pope) while carrying explosives and shells from Brest to Archangel rams and sinks the German submarine U-49 in the west Bay of Biscay. This is the first instance of a merchant ship to sink a German submarine in the Great War. The Northumberland Fusiliers take 400 yards of German trenches near Villeret south of the Bapaume-Cambrai road. Captain Louis Fleeming Jenkin MC (North Lancashire Regiment attached Royal Flying Corps) is killed in action at age 22. He is a 22 victory ace. 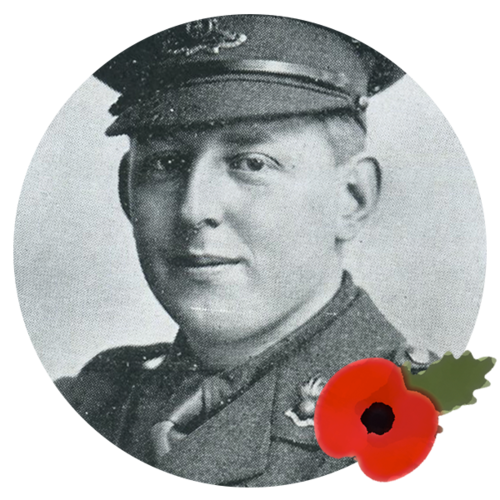 Lieutenant Oscar Lennox McMaking (Lincolnshire Yeomanry attached Royal Flying Corps) is killed when he is shot down over Langemarck by Werner Voss. He is a 6-victory ace. Lieutenant Eric John Halliwell (Royal Field Artillery attached Royal Flying Corps) is killed over the Western Front. He is a well-known South Africa and International wicket keeper. Second Lieutenant Ronald William Adam MC (Royal Field Artillery) dies on enteritis at Baghdad. His brother will be killed in July 1918. They are sons of the late William Adam JP. Second Lieutenant Arthur Davies Lang Browne (Connaught Randers) is killed at Ramadi, Mesopotamia at age 26. His brother was killed in May 1915. Surgeon John Douglas Rutherford (HMS Theseus) dies of tuberculosis at Lemnos at age 28. He is a Rosslyn Park Rugby footballer. Sergeant Frank Potter (Royal Flying Corps) is killed at age 26. He is a seven-victory ace. Corporal Guy Robert Hurst Addison (Machine Gun Corps) is killed in action at age 33. He has two brothers who have already lost their lives in the Great War. Private James Dennison How (Manitoba Regiment) is killed at age 27. He is the son of the Reverend Henry How Rector of St Luke’s Annapolis Royal Nova Scotia.